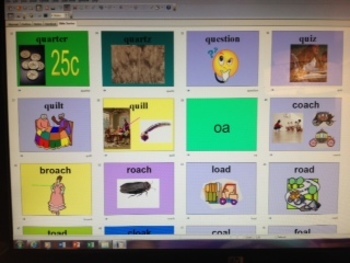 11 PowerPoints of 1st Grade Reading Chunks With Example Pictures (108 Chunks in all). 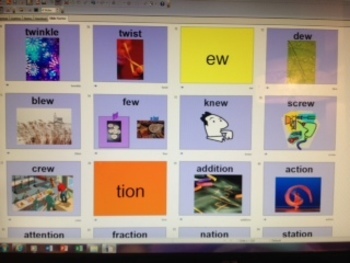 I use these for my 3rd grade ESL class and for 3rd grade reading tutoring. 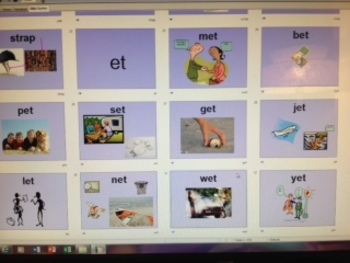 Each of the 9 sets of chunks includes words with pictures (over a 100 slides of words students can make with each chunk). Blevins, Wiley. 1998. 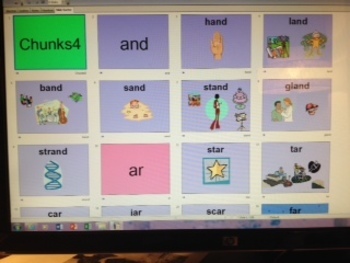 Phonics from A to Z, A Practical Guide. New York: Scholastic.